In this workshop, We looked at David Hockney’s book “Secret Knowledge”. Within this text, Hockney talks about how Vermeer and Renaissance artists used optics and mirrors to aid them in creating accurate portraits and art works. There was a highly interesting timeline in this book which opened my eyes to how new technologies affect art and the way artists work. Until 1839, artists only had the use of optics such as mirrors and lenses, in 1839 the first fixed photographic camera was made which made the use of optics in art more elaborate. The 1930s saw modern art spring up and interestingly so did television and then computers which gave possibility to digital art. In this workshop we looked at 3 mechanical aids to drawing: Camera obscura, Camera Lucida and Projection. 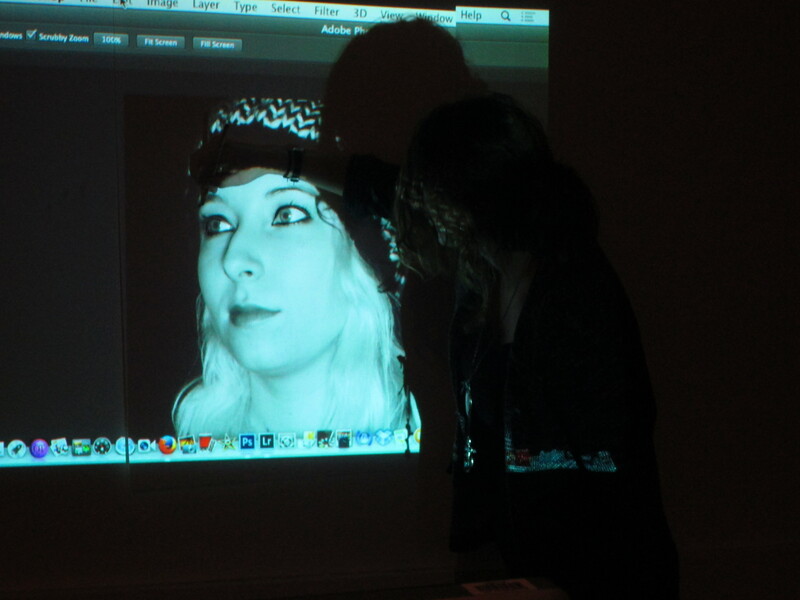 We worked with a kind of Camera Obscura using a lens and a mirror to project an image onto paper than can be drawn from. 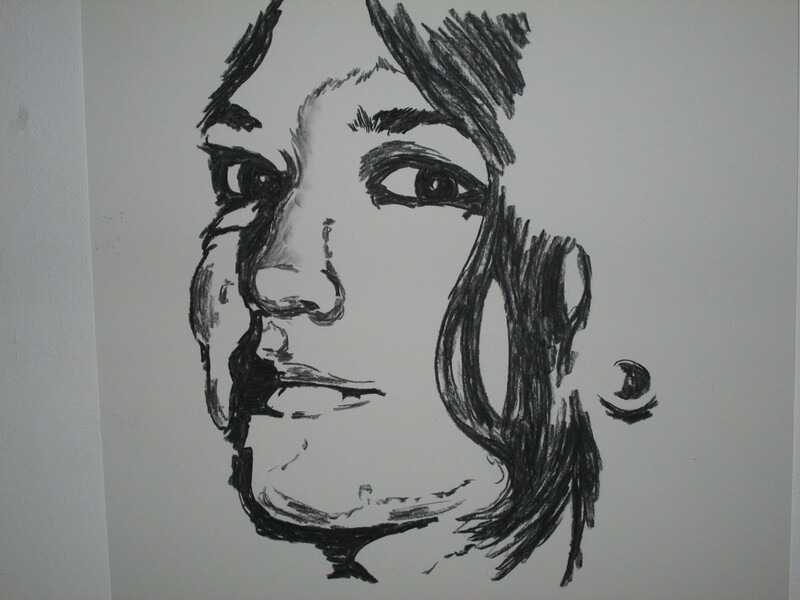 We got into pairs and drew each other using this method, one sat opposite the camera under light and the other went into a dark space and drew them for just 2 minutes. 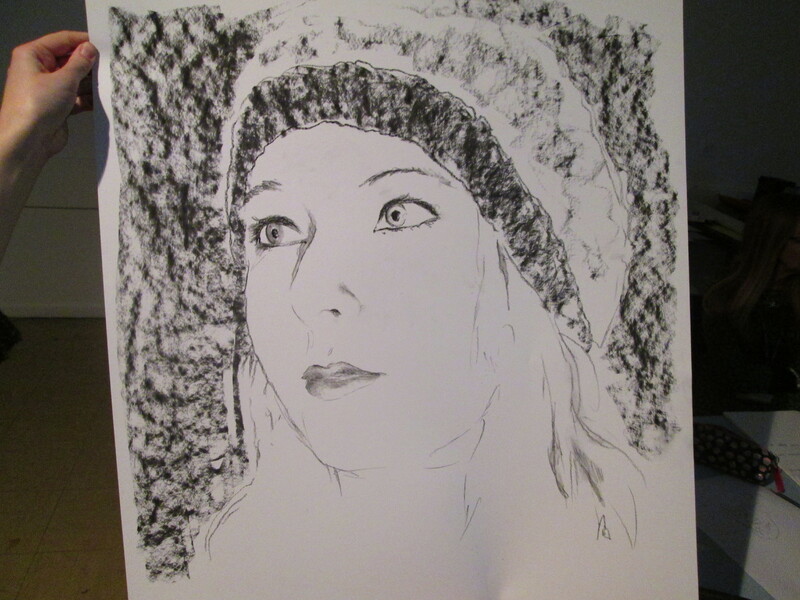 Here is the result I achieved below: It was incredibly difficult to draw accurately because you couldn’t see the lines you were drawing very well. 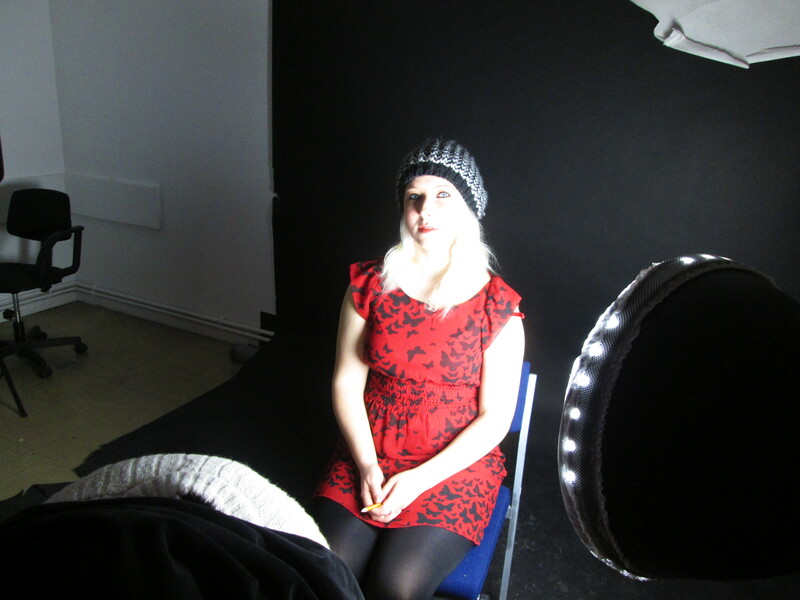 We also worked with projection in this workshop and used flash photography to produce images of each other to project onto the wall and draw on top of to create accurate portraits. 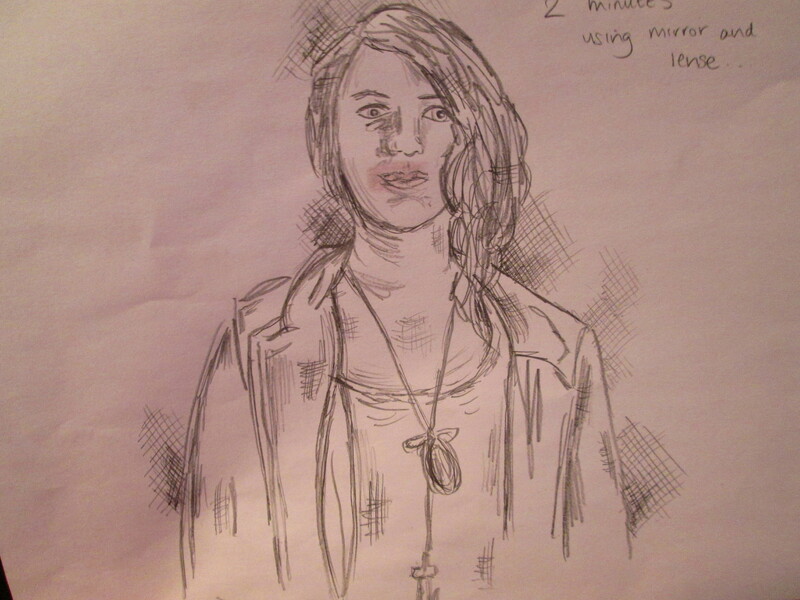 Below are images of my partner drawing me and my projected portrait of her. After drawing one image of my partner, I decided to project another one on top and draw it to create an abstract kind of outcome. Projection is a modern-day aid to drawing, but is it cheating? you are not really drawing the image and I feel as if it becomes more the creator of the piece rather than an aid. 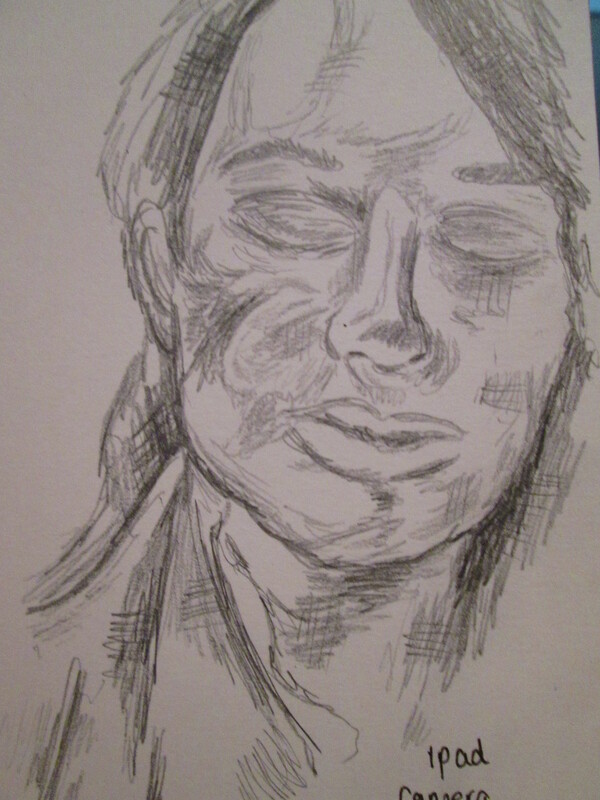 However, this was a useful exercise in helping me developing my portrait skills and facial proportions. I’m not really sure how I feel about mechanical aids to drawing. I think if you are an artist purely making art for a commercial sale and need to make many successful pieces in a short space of time it is quicker using these methods and I guess would be beneficial. However, technically this is not your own drawing, it is like tracing something and if you are an artist like me, distinguishing your own style and creating art that has a personal reflection on you, it may be classed as cheating and the personal element is gone. 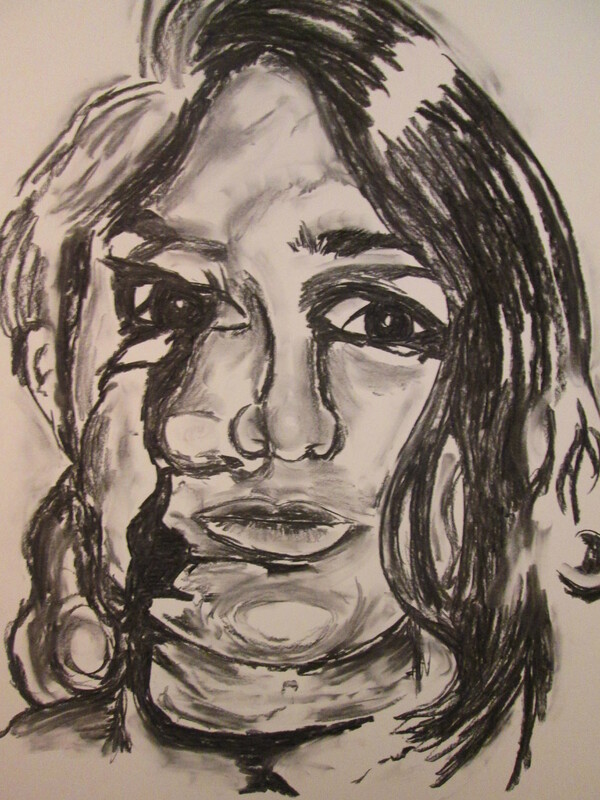 I found that even the portraits I created in this workshop, even though I enjoyed creating them, were lifeless. “As far as artistic methods go, it’s certainly creative. 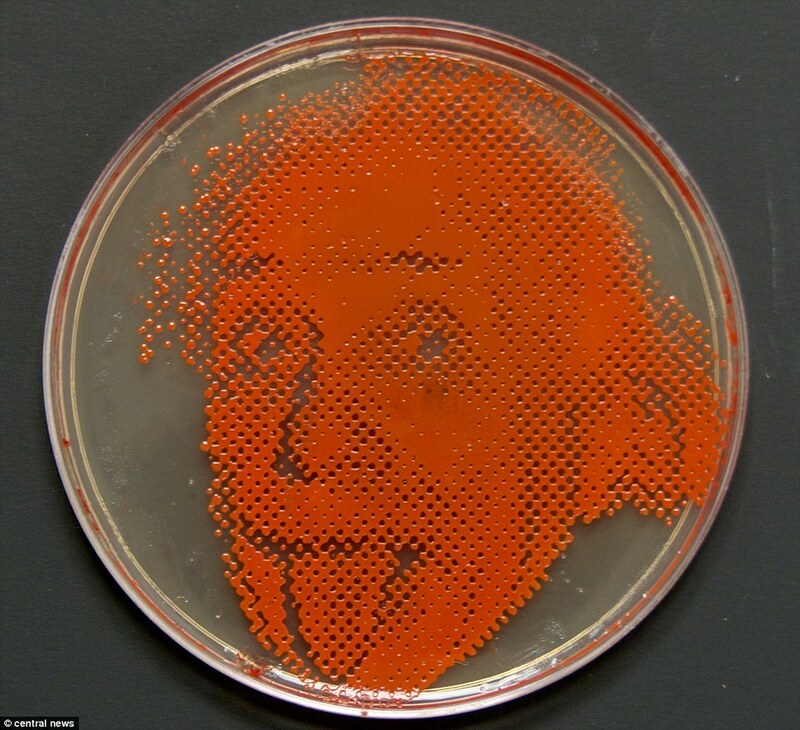 A photographer, and former microbiologist, has worked out how to make portraits by growing strategically placed bacteria cultures. 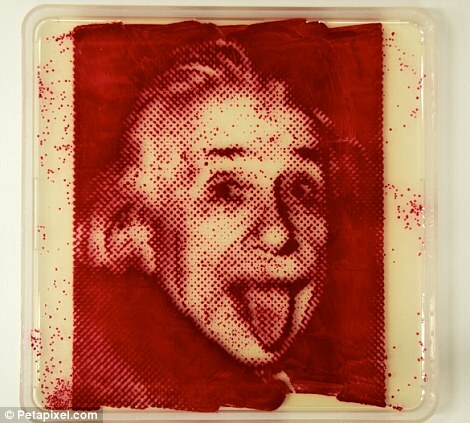 Zachary Copfer developed the technique, which he dubs ‘bacteriography’, using photographs of famous faces such as Charles Darwin, Albert Einstein and telescopic images of the Milky Way. 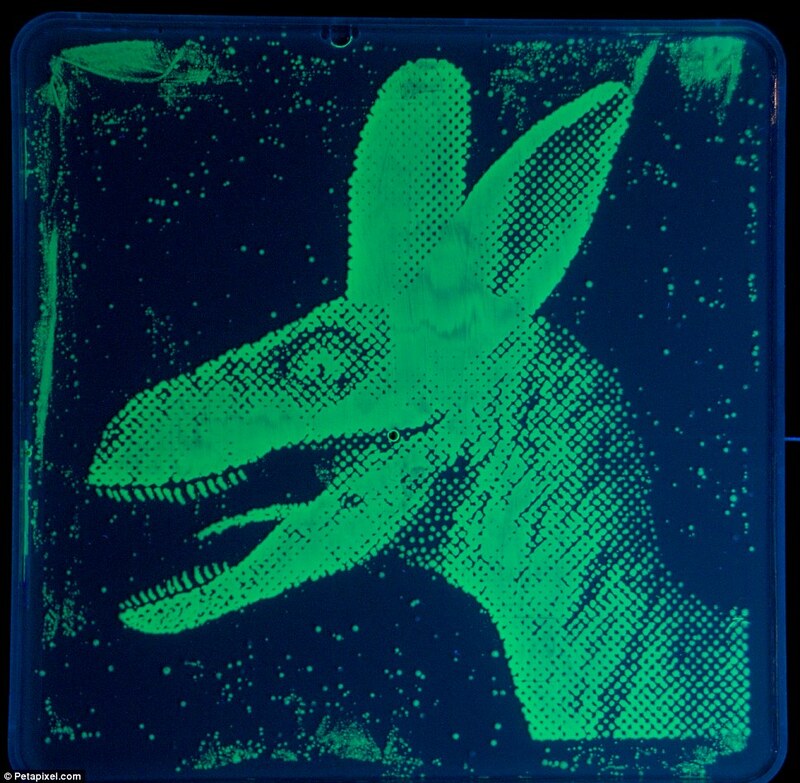 It works by taking a bacteria such as E.coli, turning it into a fluorescent protein and spreading it across a plate. This is highly influential to my food decay over time project as like me, here is an artist creating art from mould and being inspired by Decay. 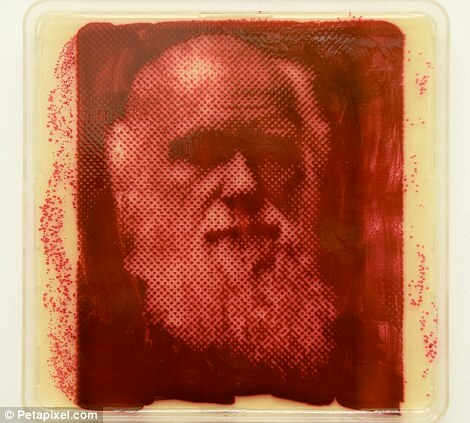 I saw this artists work after creating my petri dish piece and thought it was highly interesting. 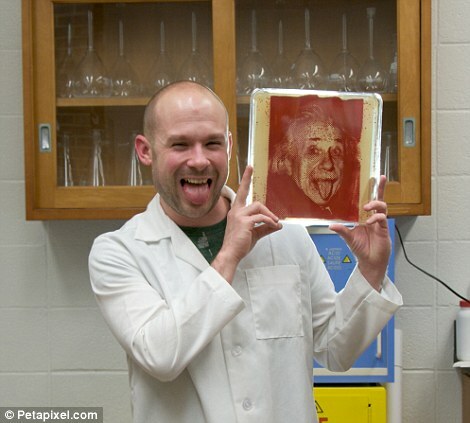 It is amazing that he has figured out a way to control the mould to make it produce portraits. This contrasts with my work because I am letting the mould itself create elements of my project, where as he is guiding the mould to create specific things. It is interesting, the artistic possibilities that emerge from something that is commonly taken for granted or used for a far different purpose.